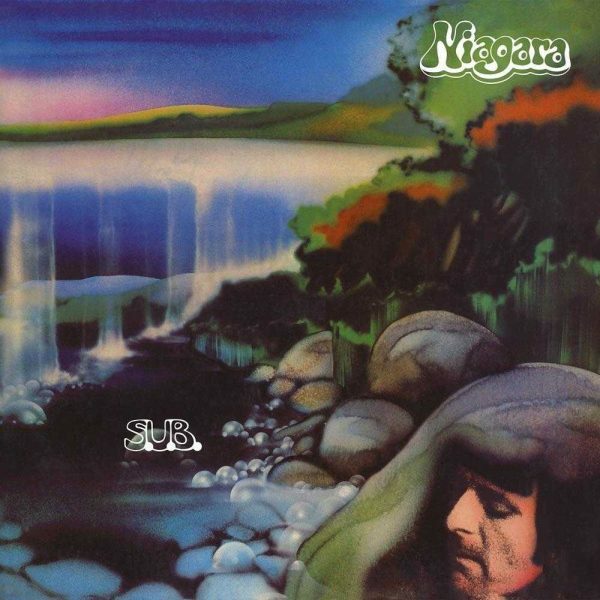 Home / FUSION / Niagara – S.U.B. Rhythm master Klaus Weiss knew he had a good thing going with NIAGARA. The first album was a gathering of every outstanding drummer and percussionist he could get hold of and despite the fact that there were only rhythm instruments featured , it became quite a memorable and unique record. Now for the second album “S.U.B.” he felt he had to go other ways, and recorded with a complete rock outfit plus the one or another brass instrument. ‘S.U.B.’ is definitely worth being traded for 180,00 Euros and more among collectors for a clean original and when the needle hits the groove you will realize why. There is a tightly woven web of rhythms from drums and percussions, as the solid and ever pulsating base with a laid back but really present bass guitar adding more depth and power to the beats and clean rhythm guitars with a nifty wah wah effect for the extra kick. From time to time the guitars fire off a memorable steaming riff on top of the rhythm pulse and the horns answer the call for arms. You really have to look at the backcover to find out that this is a German outfit instead of one of these utterly hot and hip US funk rock cult bands of the time. NIAGARA aka Klaus Weiss waive the vocals so it is an instrumental record you face with ‘S.U.B’, but then this band goes so wild in some of the compositions, that you will be left breathless on your knees by all these simmering performances. Each musician participating in this project is a professional, but they all let the music erupt into a climax of sound you can only achieve, when you put your whole heart and soul into it. A masterpiece of funky and utterly unleashed rock music from the early 70s.